There comes a point in all relationships when we need to align/combine our finances. However, this can be an awkward discussion to have and it is much easier to just put it off until the very last minute or never have it at all! By putting it off you are simply allowing yourself to fall into a trap of financial stress! You may find that your partner is building up a pile of credit debt, isn’t interested in the same financial goals or even worse…. they invest their savings into Crypto Currencies. By not having a mature conversation about money, you are also missing out on the opportunity to pool your resources – giving you a greater chance at succeeding in the Game Of Money! Below are my 4 tips to help you succeed in having that financial conversation to propose combining your finances with your partner, so you don’t end up trying to pay your creditors with hugs later on down the track. Do it over a Coffee & some Breakfast. I believe the best way to make any conversation about finances more interesting is to do it over a Latte & some Eggs Benny! Get to the café early – You don’t want to be rushed out the door at closing time or to be unable to hear over the busy brunch rush. Give your partner some notice – No one likes to have something sprung on them, and a surprise conversation about money can seem like an attack to an unsuspecting partner. Note down the key points you want to discuss beforehand – But don’t get it into any numbers just yet. Only order your coffees to begin with as you create the game plan for your chat. Ordering breakfast is your reward once you have pushed through the conversation. Understanding where you and your partner want to be in the short, medium and long term is the best place to start. Don’t just focus on your financial goals, put time into talking about the things you want to achieve personally and within your family & community. Don’t stress if you have differing goals, as no two people are the same and not all your goals should be the same! Understanding why your partner’s goals are important and helping them achieve their goals will help you meet your overall financials goals together! KI.S.S – Keep It Simple Stupid! Once you know what you both want, it’s time to organise a plan for how you will achieve your goals! When creating any plan remember one simple rule, Keep It Simple, Stupid! The more complex you make something, the higher the chance you will give it up and fall back into your old habits. Keep the plan simple and build up to the ideal result over time – don’t try to overdo it too early! Remember – You’re a Team! If you’re looking to combine your finances, obviously things are getting pretty serious in your relationship. A couple can’t win the money game if they are not working together! You will both have different strengths, weakness, pay packets and values when it comes to money. Make sure you take the time to understand your partner’s side to the discussion and you work towards a plan that enables you to maximise each of your strengths, covers each other weaknesses and fits in with both of your respective values around money. Listen! You don’t always need to have a response or a rebuttal, sometimes you just need to listen and your partner needs to felt heard. Let them speak without interruption. Compromise! You both need to find a middle ground or be willing to make exceptions for the things important to the other person. 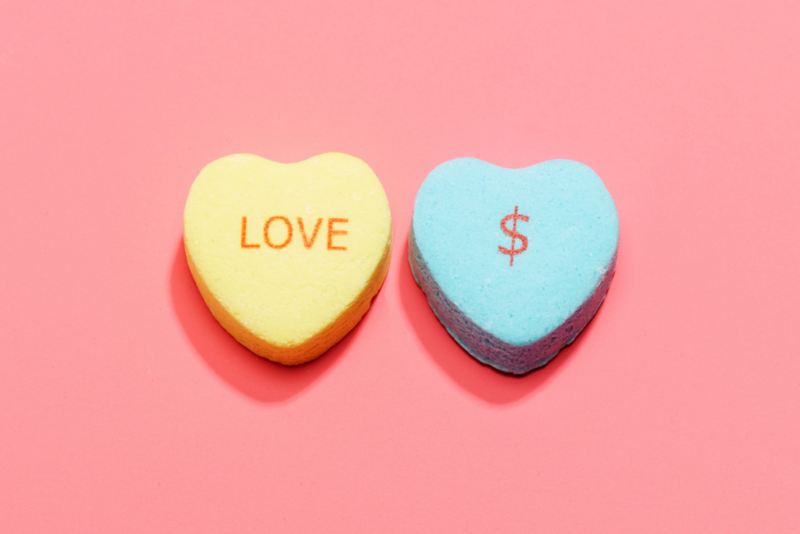 I hope these tips have been helpful – setting up your Financial Foundations in a relationship will give you the best chance of succeeding in the game of money!